Sensidyne provides a unique way to perform fast, safe, and reliable qualitative respirator fit testing using Sensidyne's proven No. 5100 smoke tubes. The Sensidyne Air Flow Indicator (HVAC) Kit is highly recommended to track air flow currents and for fit testing respirators per OSHA 29 CFR part 1910.134, irritant fume protocol. 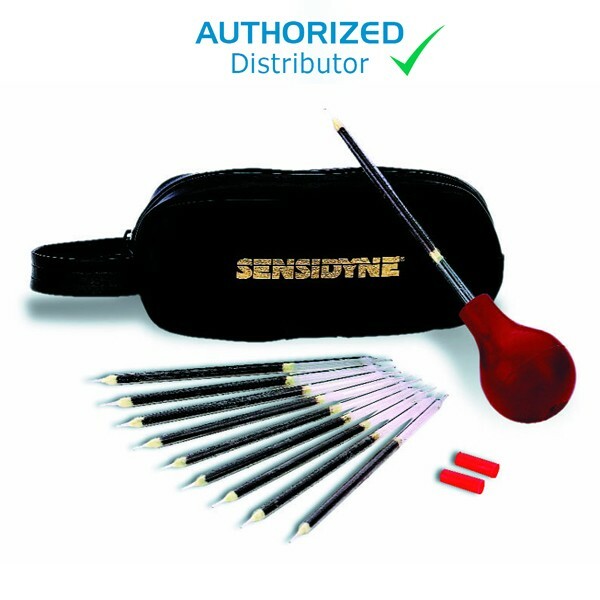 The Sensidyne MANUAL Smoke Tube Airflow Indicator Kit offered here consists of TEN Smoke Tubes, an aspirator bulb, tube caps, and a carrying case. Both kits are designed to deliver a 200ml/min flow rate creating a consistent stream of test smoke, allowing the tester to perform an accurate and reliable fit test each and every time. A SIMPLE AND DIRECT WAY TO MEET OSHA QUALITATIVE FIT TEST REQUIREMENTS PER OSHA 29 CFR 1910.134. Designed to test for a proper fit for workers requiring respirators. Unique, one-of-a-kind system for qualitative fit testing. Utilizes an easy-to-use aspirator bulb to deliver the test substance in a consistent and accurate manner. Safely delivers 200 ml/min as required for the fit test protocol. Perform a fit test for as little as 12 cents per test. No awkward hoods or test enclosures required.